Ming dynasty, Xuande period 1426–35. Courtesy of the Museum of Fine Arts Boston. 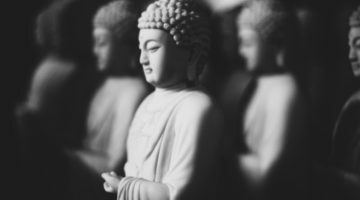 Whatever Buddhist tradition we follow, we are probably all familiar with some version of the story of the Buddha, featuring his life and qualities. But what are contemporary Buddhists to make of this figure, generally known as Gotama Buddha by Theravadins and Sakyamuni Buddha by Mahayanists, who lived in the fifth-century BCE (perhaps 484–404)? How close can we get to knowing what he was really like based on critical analysis of the early texts? This is a question related to Buddhist practice, for not only is it said that to have insight into the Dhamma is to have insight into the Buddha, but also that to have insight into the Buddha is to have insight into the Dhamma (SN.III.120). For a modern Buddhist practitioner, the developed story and figure of the Buddha is a bit like a venerated piece of antique furniture, with a fine patina on it from centuries of handling by previous generations. We are also adding our own fingerprints to it. But trying to dig back to the “bare facts” of the Buddha’s life can be like stripping the patina off a fine antique—something many people would be wary of doing, since it might be disrespectful to the original. However, perhaps it is necessary, as the “antique” Buddha needs restoring, and doing so may reveal the various decorations that have been added over the centuries. Still, we need to beware of being restricted by too narrow a view of what is possible; our modern perspectives and ideas may lead us to a rather thin and shallow way of seeing the world. We may be tempted to say of some element of the Buddha’s life story, Ah, that cannot be true, so it must be a later addition that we can ignore. And we also need to remember that myths are meaningful stories that may convey truth or a direction worth exploring. The earliest recorded stories of the Buddha are preserved mostly in Pali texts from the Theravada tradition, which express and share ideas common to various early schools prior to the development of the Mahayana, which in turn developed further reinterpretations and extensions. Some material on the life of the Buddha exists in the Vinaya, or texts on monastic discipline, but more are found in the suttas, the discourses of the Buddha. In their Pali versions, these are grouped in five nikayas, or collections: the Digha Nikaya (DN), Majjhima Nikaya (MN), Samyutta Nikaya (SN), Anguttara Nikaya (AN), and Khuddaka Nikaya (KN). The suttas and Vinaya were originally transmitted by communal chanting, then written down for the first time around 20 BCE in Sri Lanka. As in other early textual collections, such as the Chinese Agamas, the suttas of the Pali Nikayas begin, “Thus have I heard, at one time the Blessed One was staying at… and…,” which purport to be the words of Ananda, the Buddha’s faithful attendant for many years, and spoken at the council of five hundred enlightened monks (arahants) convened after the death of the Buddha to collect his teachings. The story of the historical Buddha is told in various stages across diverse sources. In the suttas and Vinaya, for example, there is scattered material on certain periods in his life, notably his conception and birth (Acchariya-abbhuta Sutta, MN.123); a few aspects of his pre-renunciation life (e.g. Sukhumala Sutta, at AN.I.145); his renunciation (Ariya-pariyesana Sutta, MN.26); his spiritual quest, in which he was taught two “formless” mystical states (MN.26 and Maha-saccaka Sutta, MN.36) and then practiced harsh asceticism (MN.36); temptation by Mara (Padhana Sutta of the Sutta-nipata, verses 425–49); his using the four jhanas as a basis for remembering many past lives, seeing how beings are reborn according to their karma, and attaining enlightenment (MN.36); considering whether to teach and then teaching (MN.26; Dhamma-cakka-ppavatana Sutta, SN.V.420–25; Vin. I.4–12); and gaining his first disciples and sending them out to spread the Dhamma (Vin. I.12–21). Events in his forty-five years of teachings are hard to sequence, but the last three months of his life are dealt with in the Maha-parinibbana Sutta (DN.16, DN. II.72–168). The Jataka stories, their verses recorded in the Pali canon, were fleshed out in later commentaries. They include many tales of inspiring people, gods, and animals depicted as past rebirths of the Buddha prior to his enlightenment. Some of the stories originate in non-Buddhist collections but were later “Buddhicized.” All of them came to be seen as illustrating how as a bodhisattva the Buddha developed various perfections. The Buddhavamsa of the Pali canon describes the Buddhas of past ages and aeons whom he met and was inspired by. 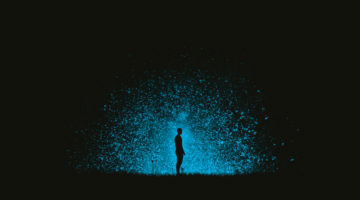 While the facts of human frailty and mortality are known to us all, a clear realization and acceptance of them often does come as a novel, disturbing insight. 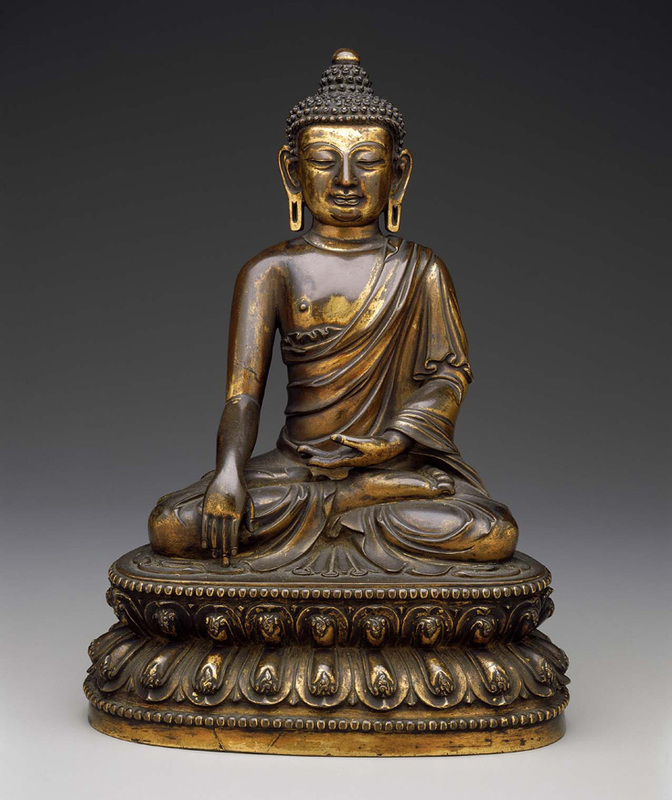 Centuries after the Buddha’s death, a more devotional interest in his life developed. Several biographies/hagiographies were written that drew on scattered accounts in the existing sutta and Vinaya collections and on floating oral traditions. These include the Mahavastu (“Great Story,” a text from the Lokottaravada school of early Buddhism), the Lalitavistara Sutra (“The Play in Full,” a Mahayana sutra), the Buddhacarita (“Acts of the Buddha,” an epic poem by Ashvaghosha, and the Nidanakatha (the introduction to the Jataka commentary). These, with certain variations, give us the story of the Buddha as we have it now—material from the earlier texts linked into an ongoing narrative, with many embellishing features added in glorification of the Buddha. Later texts talk of the Buddha born as a prince, the son of a king. In fact, he lived and taught in a society in which small-scale tribal republics were giving way to larger kingdoms. He was born in the small republic of the Sakka (Skt., Sakya) people, in which rule was probably by a council of household heads, perhaps qualified by age or social standing. As he later wandered in the developing kingdoms, taught some of their kings, and talked of himself as coming from the warrior-ruler class, it became natural for later texts to refer to him as coming from a royal background. Later biographies describe the Buddha’s renunciation as being prompted by seeing, for the first time, an old person, a sick person, and a corpse, leading to agitation at the aging, sickness, and death that we are all heir to. Yet the early texts talk of his renunciation only as the result of gradual reflection (AN.I.145–46, MN.I.163). A story of seeing an old person, a sick person, a corpse, and a calm and inspiring renunciant is there in the texts but applied to a past Buddha, Vipassi (DN.II.22–9). Given that the lives of all Buddhas are said to follow a recurring pattern, we can see why this story was applied to the Buddha of our age. In any case, the story expresses a fundamental teaching in a very memorable way. While the facts of human frailty and mortality are known to us all, a clear realization and acceptance of them often does come as a novel, disturbing insight. There are also small variations between the developed biographies. The Theravada Nidanakatha says that the Gotama’s renunciation was just after the birth of his son, Rahula (Ndk.61–3), while the Sarvastivada tradition has Rahula being conceived on the night of the renunciation, thus ensuring that Gotama’s family line is continued. A quality that is regularly applied to the Buddha in later texts is omniscience (sabbaññuta). To what extent is this claim found in the early texts? In the Kannakatthala Sutta, the Buddha accepts that omniscience is possible but asserts, “There is no renunciant or brahmin who knows all, who sees all, simultaneously; that is not possible” (MN.II.126–27). Rather, what he claims is the “threefold knowledge” (te-vijja). That is, as experienced on the night of his enlightenment, he could, “in so far as I wish,” remember his past lives, see beings being reborn according to their karma, and directly know his state of liberation (MN.I.482). The suttas attribute the claim of continuous omniscience to Mahavira, the Jain leader, though they also say that he prevaricated when actually asked a question to prove it (MN.II.31). Ananda joked that some teachers who made this claim still had to ask people’s names, failed to get alms food, and got bitten by dogs—so they then had to cover themselves by saying they knew these events were destined and so did not avoid them (MN.I.519). Accordingly, the Theravada tradition holds that all knowable things could be known by the Buddha. But the threefold knowledge, as the key example of the Buddha’s knowledge, says little about the future other than how particular beings will be reborn. On the question of whether the Buddha’s great knowledge extends to the future, he claims that it does (DN.III.134), but the example given is that he knows he will have no further rebirths. In other contexts, however, the Buddha claims to know things in the distant future, such as the coming of the next Buddha Metteyya (Skt., Maitreya; DN.III.76). The idea that Gotama possessed omniscience only applies once he had become a Buddha. Hence his six wasted years of harsh asceticism could be seen as a mistake, as part of a human quest to find the right way to awakening, although later tradition has tended to see even such actions as preplanned, done in order to make some teaching point. But the early texts show Gotama making mistakes even after his enlightenment. A striking one is when, having taught monks to contemplate the unpleasant aspects of the innards of the body, he goes off to contemplate on his own. Upon his return, he finds that many of the monks have (wrongly) developed disgust at their body from doing this contemplation and have either killed themselves or gotten others to kill them. And so the Buddha makes a new monastic rule, that aiding a suicide has the same penalty for a monk as murder: expulsion from the sangha. He also has the monks change their contemplation to mindfulness of breathing (Vin.III.68–71, SN.V.320–22). It is intriguing that the early texts preserved a record of such a disastrous mistake, which could easily have been edited out. 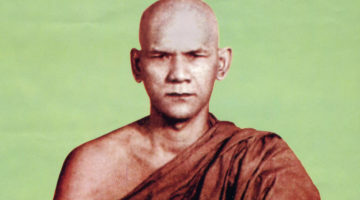 There are also well-known examples of the Buddha hesitating: for example, when he debated whether it was worth teaching the Dhamma, as he initially thought no one would understand it (MN.I.168), and on the matter of whether or not to ordain women (Vin.II.253–55, AN.IV.274–80). We see the Buddha’s human frailties and physical limits on several occasions. After he had been teaching a group of laypeople “till far into the night,” he asks Sariputta to teach the monks, saying, “My back aches, I want to stretch it”; he then retires to sleep (DN.III.209). Some very human aspects of the eighty-year-old Buddha are described in the Maha-parinibbana Sutta. We find him expressing “weariness” at the prospect of being asked about the rebirth destiny of each and every person who has died in a particular location (DN.II.93). Another time he says, “I am old, worn out… Just as an old cart is made to go by being held together with straps, so the Tathagata’s body is kept going by being strapped up. It is only when the Tathagata … enters into the signless concentration that his body knows comfort” (DN.II.100). In his final illness, he is extremely thirsty and insists that there be no delay in his being given water to drink (DN.II.128–29). Yet elsewhere in the same text, the stream he asks for water from is found to be clear, even though it had recently been churned up by many passing carts. He crosses the Ganges by his psychic power (DN.II.89). He says that if he had been asked, he would have had the power to live on “for a kappa, or the remainder of one” (DN.II.103), with kappa (Skt., kalpa) generally meaning aeon, but here possibly meaning the maximum human lifespan at that time, around one hundred years. Key events in the Buddha’s life are said to have contributed to earthquakes, including his conception, birth, enlightenment, first sermon, letting go during his final illness, and passing into final nirvana at death (DN.II.108–09). His skin, very clear and bright, is said to have made gold-colored robes look dull by comparison on the night of his enlightenment and final nirvana (DN.II.133–34). When he lies down between two sal trees, where he will die, they burst into unseasonal blossom in homage to him, and divine music is heard in the sky (DN.II.137–38). Extraordinary aspects of the Buddha are even said to have existed at his birth, at which he is said to have walked and talked (MN.III.123). The Buddha was a real historical person who ate, slept, sweated, and got tired. Yet he was also an extraordinary person who developed inspiring qualities that we are all capable of developing. Clearly there was an intent to show two sides of the nature of the Buddha. He was an enlightened being who had experienced the transcendent and had developed supernormal powers through spiritual practices over many lifetimes, yet he also shared many human frailties with those he taught. 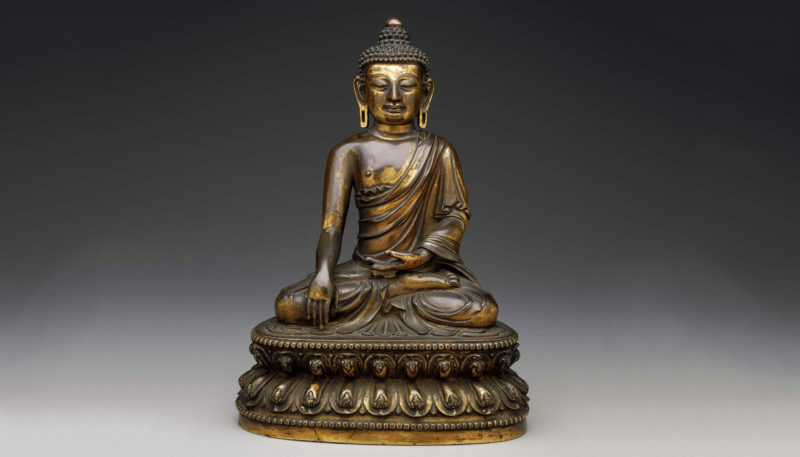 The supernormal facet of the Buddha is also seen in the Lakkhana Sutta (DN.30), which describes his body as having the “thirty-two marks of a Great Man” (DN.III.142–79). Whether interpreted as straightforward physical features or as marks visible only to the spiritually sensitive, these showed that Gotama was destined by the power of his perfections to be either a Buddha or a compassionate Universal Monarch (Cakkavattin). Each mark is said to have been due to a particular excellence developed during past lives and to have indicated a particular quality in the present life of a Buddha or Universal Monarch. For example, “On the soles of his feet and on the palms of his hands wheels arise—with a thousand spokes, with rim and hub, adorned in every way and well-defined within” (in the past, he protected and helped others; in the present life, he has a great retinue of followers); “His skin is delicate and so smooth that no dust can stick to it”(in the past, he was keen to enquire of the wise about wholesome and unwholesome actions; in the present life, he has great wisdom); and “his eyes are deep blue, and he has eyelashes (long) like a cow’s” (in the past, he looked at others in a straightforward, open, direct and kindly way, not furtively; in the present life, he is popular and loved by all types of people). Here we see that the Buddha possessed both ordinary and extraordinary features that were a crystallization of the kind of good actions that anyone can come to excel in. It is an interesting mindfulness exercise to stand and contemplate the thirty-two marks as if they were on one’s own body. Sometimes they can seem to come alive in the practice. Not surprisingly, the question arose as to whether the Buddha was still human. Once, when someone saw in his footprints a sign of one of the “marks of a Great Man” and asked the Buddha whether he might be a deva (god), a gandhabba (a fragrance-eating heavenly musician), a yakkha (a nature-spirit), or even a human, to all these questions the Buddha replied, “No” (AN.II.37–39). In response to his puzzled questioner, he explained that he had destroyed the asavas, deep-rooted intoxicating inclinations that would otherwise have kept him limited as one of these kinds of beings. He was thus none of them, but precisely a Buddha, an Awakened One. In this, he said he was like a lotus, which, although it grows from muddy water, comes to stand above it, unsoiled. He had developed from the “mud” of limitations and defilements of ordinary beings but had risen above all attachment. Elsewhere, he said that an enlightened person was beyond attachment to the bundles of processes that comprise a normal person: material form, feeling, perceptual labelling, constructing activities, and conditioned consciousness. Having abandoned attachment to these, such a liberated one was truly “deep, immeasurable, hard to fathom as is the great ocean” (MN.I.487–88). Ultimately, the most extraordinary features of the Buddha are his applied wisdom and compassion in teaching a great range of beings. A real human voice comes through the suttas, that of a person of deep, incisive, and subtle knowledge responding to the questions and situations of brahmins, non-Buddhist renunciants, kings, a great range of ordinary men and women, and even gods. It is said that what the Buddha taught, compared to what he knew, was like a handful of leaves compared to all the leaves in a forest (SN.V.437–38). From what he knew to be true, he said he taught what was spiritually useful and appropriate to the moment, whether the person he taught found the teaching pleasant or painful to hear (MN.I.395). The Buddha was a real historical person who ate, slept, sweated, and got tired. Yet he was also an extraordinary person who developed inspiring qualities that we are all capable of developing. If you find some of the details of the developed hagiography of the Buddha an off-putting burden, look to him as a great human teacher of the path beyond human limitation. Peter Harvey is professor emeritus of Buddhist Studies at the University of Sunderland in England and a teacher with Samatha Trust. He is the author of An Introduction to Buddhist Studies and An Introduction to Buddhist Ethics.